Winter trousers for men and women should meet a few basic demands. They should protect the wearer from wind, rain, snow, and the cold. The goal of winter pants is to provide an optimal body climate during winter sports when combined with a good winter jacket. Winter trousers have various uses: winter hiking, snowshoeing, sledding, and playful snowball fights. In combination with winter jackets, winter trousers are nifty for work and everyday use. Of all the winter trousers for women and men, the all-purpose models have several uses on their own. Everyday tasks, trips to the city, school, shopping, going to the office, and brief winter walks through the snow. With the right winter pants and winter jacket, you can go hiking in any weather and experience a wonderful winter adventure. It's important to follow the onion principle during strenuous outdoor activities in unfavorable weather. That's the best way to use the functionality of your winter pants. Now nothing will stand in the way of an unforgettable winter experience in nature. High-quality winter and snow pants for men and women have various synergistic and well-placed functional materials. They fulfill their purpose in wind and weather during outdoor activities and mountain sports. That is, they keep the body warm and protect it from moisture. The cut, material distribution, and fit play an important role. Fully-elastic materials combined with stretch inserts at the right places provide excellent comfort and the necessary freedom of movement. High-quality winter trousers preserve the right body temperature at any time and in any weather. Not too warm and never too cold. Winter trousers are designed for everyday use. They're fit for a variety of tasks. Technical winter trousers are processed for even higher quality. They withstand even the most adverse winter weather conditions. Good winter trousers and jackets protect the body from cold, wind, snow, and rain during mountain sports and other outdoor activities. Modern functional materials for winter trousers are waterproof, windproof, and highly breathable. 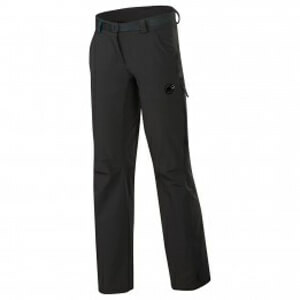 The outfit varies depending on the intended use: Highly-functional touring trousers are robust, light, completely waterproof, windproof, and breathable. They include practical ventilation zips and well-placed pockets. They offer protection and optimal comfort during tours and climbs in the mountains. But all-around models of winter trousers and jackets also work for the majority of outdoor activities. Several features of winter trousers block wind, snow, and water. These include materials such as light and elastic Softshell, wind-resistant fleece, ultra-warm linings, windproof and waterproof membranes, laminates, and light coatings. Your body stays comfortably warm and dry during winter sports. Too cold or too wet? With the right winter trousers, this won't be a problem anymore.